This cabin offers guests private features to enjoy like the wood-burning fireplace,Firewood not provided, a hot tub, and a jacuzzi tub. 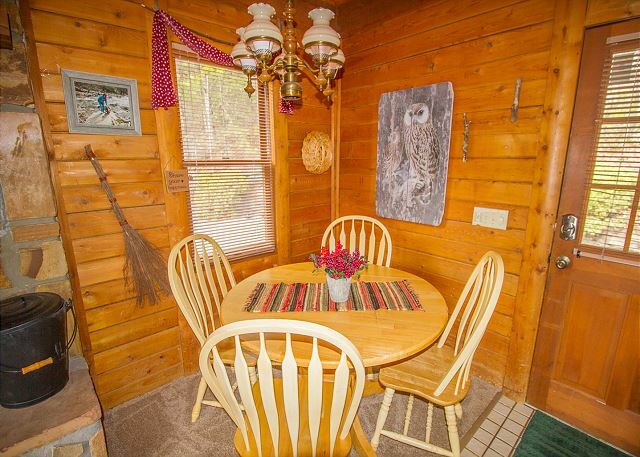 This 2-bedroom resort cabin provides comfortable sleeping space for up to 6 guests. A master suite on the main level includes a king-size bed, sleeper sofa in the living room, a television, a private bath with a custom stone sink, and access to the back deck. 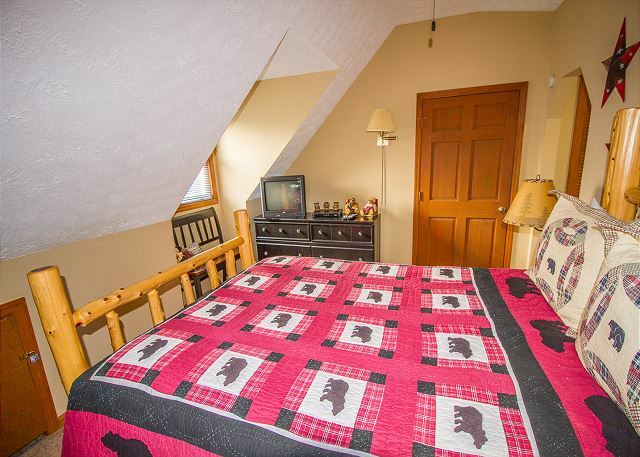 The upstairs bedroom boasts a queen-size bed and bath for more comfortable resting space. 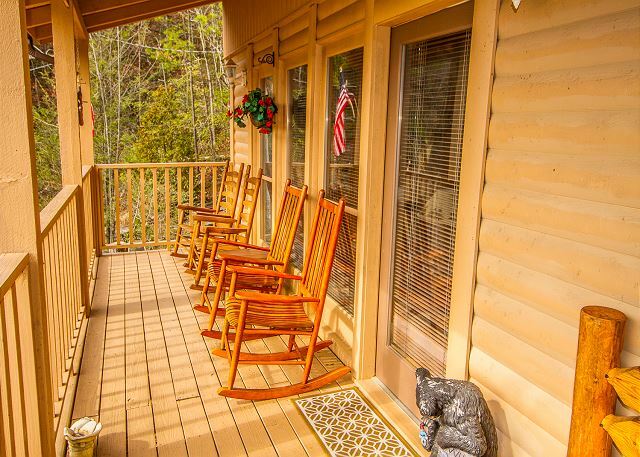 If you're planning a small family vacation or a weekend getaway with friends, this affordable log cabin could be just your ticket to an exceptional Smoky Mountain vacation. 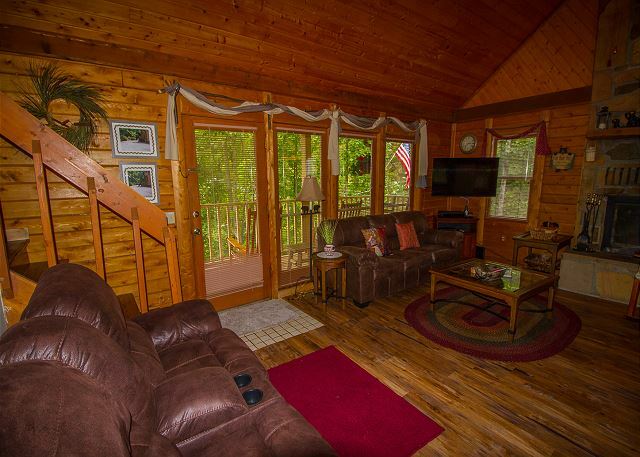 Located in the scenic East Parkway region of Gatlinburg, this Cobbly Nob Resort cabin provides a great location for vacationers who want to explore hidden treasures like Cosby Campground and Greenbrier. 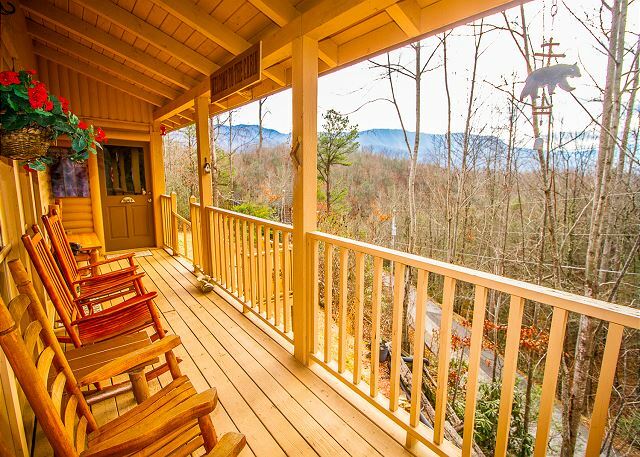 This cabin near the national park keeps guests close to regions of the Great Smoky Mountains National Park that are less crowded, but just as beautiful as more traveled parts of the park. Bent Creek Golf course is another nearby attraction in Pittman Center, as well as the historic Gatlinburg Arts and Crafts Community in the Glades. At the same time, vacationers will enjoy a direct drive to top attractions in Downtown Gatlinburg like Ripley's Aquarium and the Space Needle. 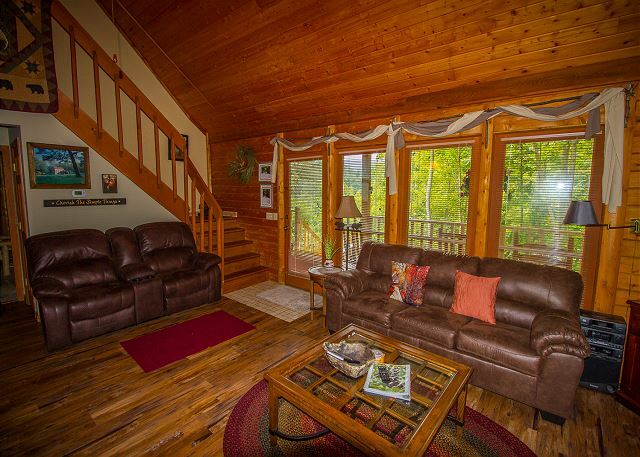 Back at your comfortable log rental in the mountains, you can unwind just the way you like. In the summer months, head over to the resort swimming area to soak up the sun. One swimming pool is within walking distance of the cabin and this resort area also features tennis courts that are available for guests to use. In the winter, you'll love cozying up with someone special by the wood burning fireplace in the living area. This room also features comfortable leather sofas, a television, and a WII for great entertainment. 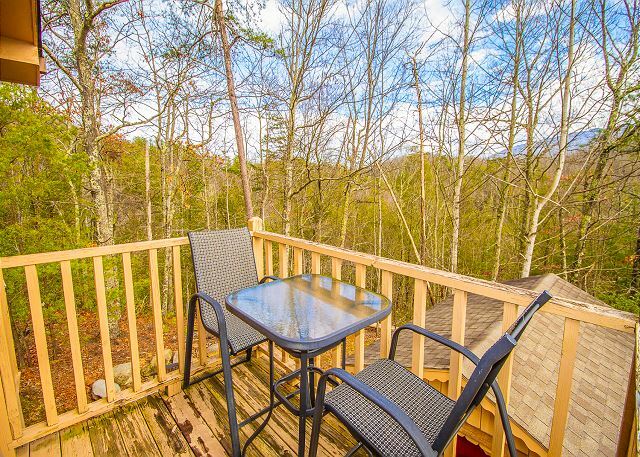 Any season, you can enjoy beautiful forest scenery while you sit in the hot tub in the backyard's gazebo. For romance and privacy, enjoy a soothing bath in your rental's jetted jacuzzi tub. "Huckleberry Haven" also provides convenient amenities like WiFi Internet, a fully-equipped kitchen, and a washer & dryer to make your stay a true pleasure. 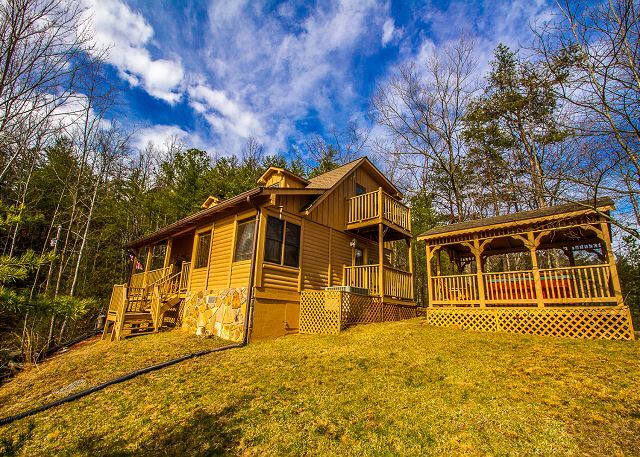 Another great feature of this rental is the outdoor picnic area with a charcoal grill for cooking and dining surrounded by the beauty of nature.